When you are away from home, you house can simulate random activities as if someone is living in the home. The lights can be switch on the living with the stereo playing music. It deters burglars from intruding your home. 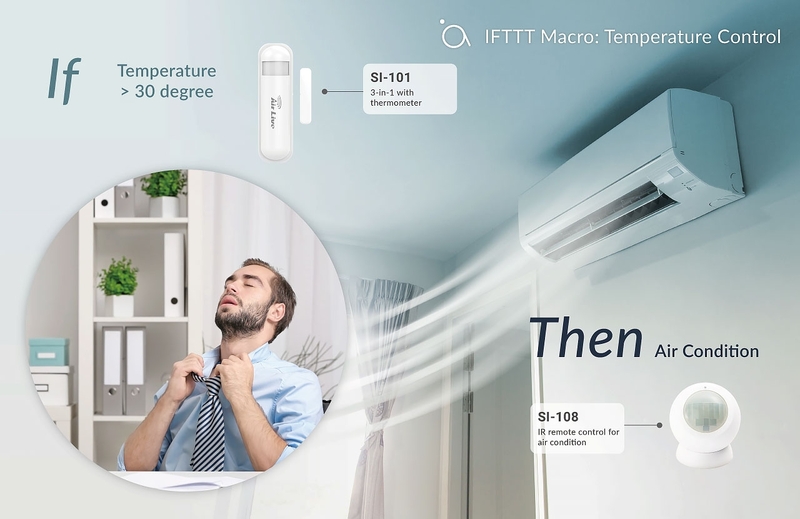 When temperature exceeds certain degree, the gateway will trigger the IR remote to turn on the air condition or heater. 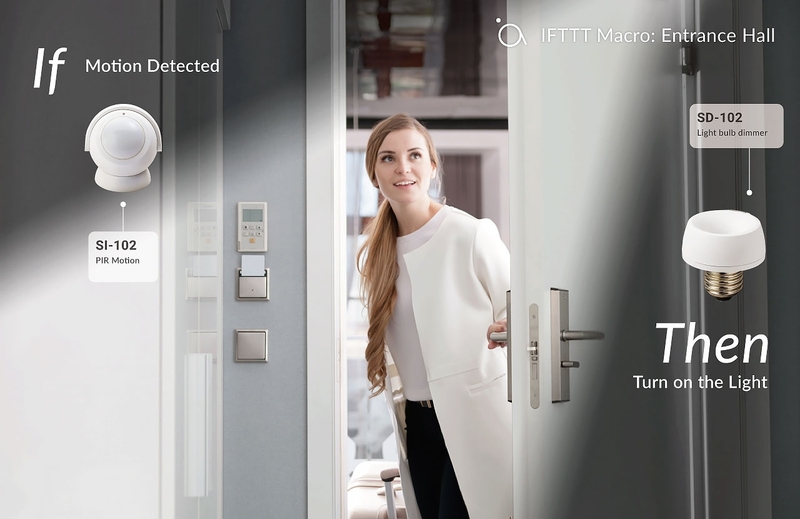 When motion is sensed at the entrance hall, the light will automatically turn on. 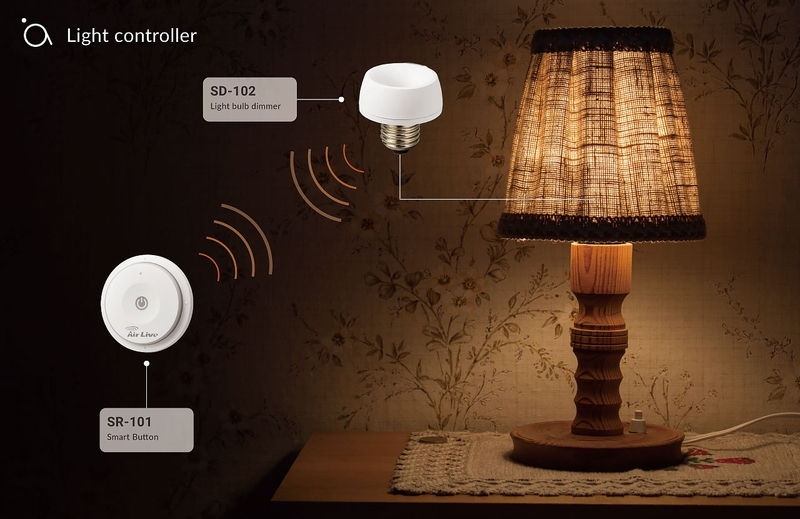 With the SR-101 smart button, you can control the brightness of the lamp remotely. It is a very convenient way to adjust the ambiance of the room.